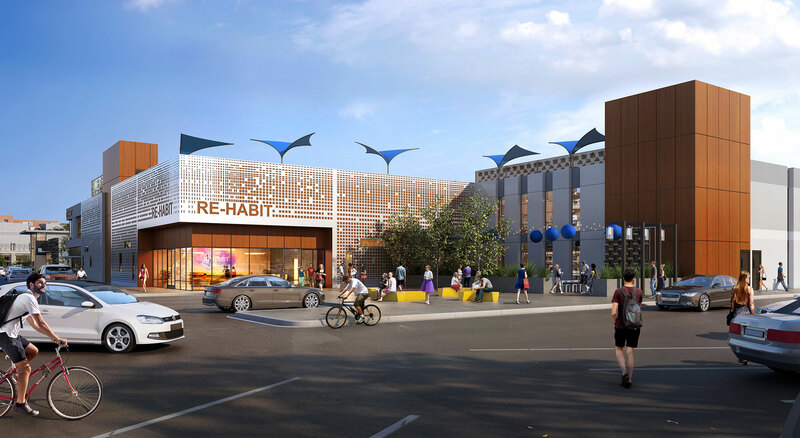 With the age of big box stores waning, all those massive abandoned retail facilities could be transformed almost instantly into housing for the homeless using a variety of plug-and-play prefab elements. The research and development studio at KTGY Architecture + Planning in Los Angeles considers what we seem to need space for the most in cities – housing people who tend to fall through the cracks as the cost of living continues to increase – and builds entire complexes of supportive spaces and services within the empty shells of stores like Sears and JCPenney. “Re-Habit” doesn’t get rid of retail altogether. 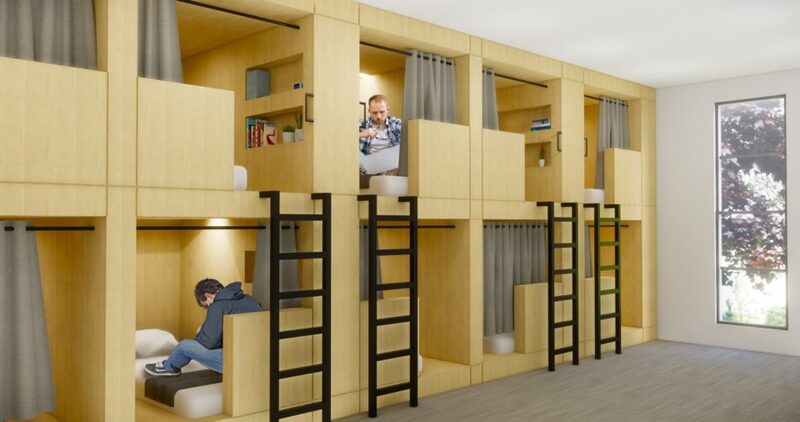 It just makes the shopping portions of each building smaller, and places bedroom pods, restrooms, kitchens, dining halls, offices, job training rooms and other spaces behind them. Each Re-Habit store would be a community-supported thrift boutique benefiting the transitional housing program. The main goal of the project is to be self-supporting, the creators explain, by providing training, employment and housing for residents, who rotate chores like working in the kitchen or keeping the dining hall clean. 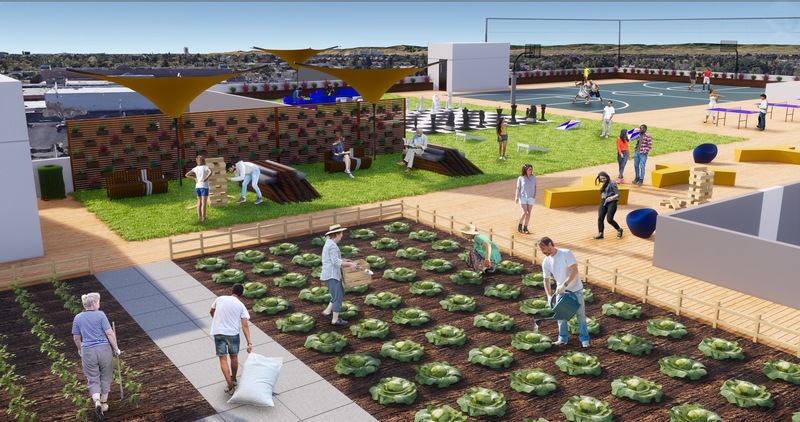 The large, flat roofs of big box stores are ideal for rooftop gardening, recreation and solar panels, and many have outdoor plaza areas that could accommodate small pop-up shops and food carts. 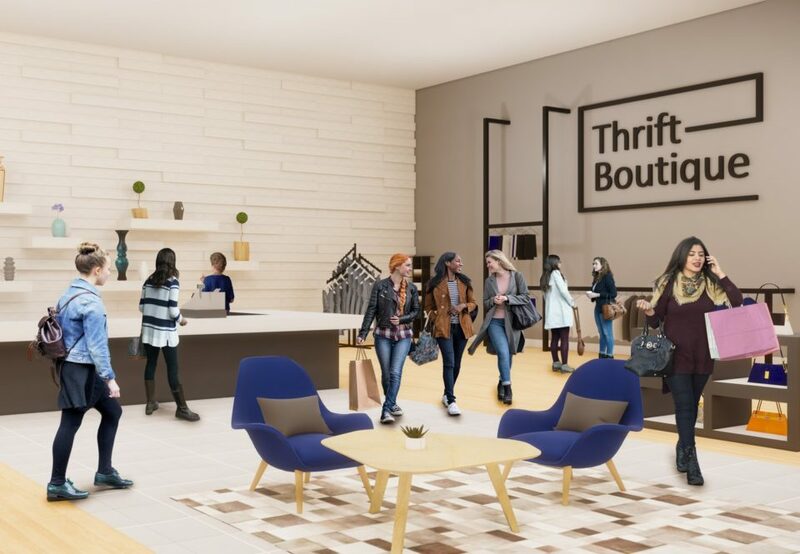 To demonstrate how it could work, KTGY used a typical 86,000-square-foot store (which would often be an “anchor store” in a shopping plaza) and created illustrations showing how it could be used. The firm designed modular led pot units that contain anywhere from 2 to 20 beds, easily slotting into the large, empty spaces. Additionally, the space could support 8 individual apartment units on an upper floor.